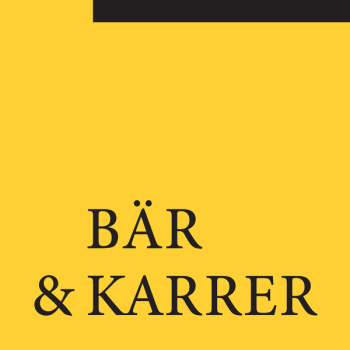 Bär & Karrer was awarded „Most innovative law firm of the year - Switzerland“, the national award for Switzerland given in the IFLR European Awards. The most innovative law firm of the year award recognizes Bär & Karrer as the Swiss law firm with the best track record in 2018 giving advice on the most innovative cross-border deals covering all award practice areas. It is already the third prize of this kind in period of six years awarded to Bär & Karrer. In addition, Bär & Karrer received the European deal award in the category "Debt & Equity-linked Deal of the Year" for its work on the offering of Swiss Re senior exchangeable notes with issuer stock settlement. Bär & Karrer acted as adviser to Swiss Re in this transaction. International Financial Law Review (IFLR) annually awards the most innovative international deals and the law firms that advised on them. Bär & Karrer was also shortlisted in the following European categories: "Equity Deal of Year" and "Restructuring Deal of the Year".